If you have been convicted of a crime you did not commit, you need help from an attorney who can aggressively advocate on your behalf. Challenging a conviction through an appeal or post-conviction relief takes skill and precision. These processes differ depending on whether your case was heard by New Jersey’s state court system or a federal court. 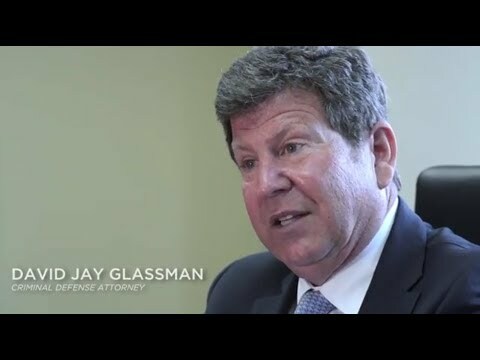 The Law Office of David Jay Glassman brings more than 35 years of experience to each case. We work to prove that your trial was not fair or that there is new evidence demonstrating your innocence. Our criminal defense attorney helps you understand the options available in your case as well as their likelihood of success. Procedural problems. Judges are responsible for deciding what instructions and legal concepts juries are allowed to hear. These decisions play a great part on the outcome of any trial. We challenge a judge’s decisions when they had a prejudicial effect. Evidentiary issues. When a judge improperly allows or excludes evidence, there may be grounds to appeal your case. Questions of law. Sometimes a judge interprets a law incorrectly. In other cases, a judge may have correctly applied a law that we believe is unconstitutional. In these cases, an appeal lets us put those decisions in front of a higher authority. While there are many situations that can lead to an appeal, it is just as important to understand what an appeal can’t do. It is rare that a defendant gets an entirely new trial or even the chance to attack each piece of evidence presented in the original trial. Most appeals are based on a violation of your constitutional rights, not a hope that another trial might end differently if you try another strategy. In New Jersey, you typically have only 45 days from the date of your conviction to appeal your case. In federal cases, you have only 14 days to file notice of an appeal. It is important to speak to an attorney immediately if you are considering an appeal. Both New Jersey and federal courts allow you to attack the validity of your conviction through something called a motion for post-conviction relief (PCR). New Jersey PCR motions must be filed within five years of your conviction and are typically based on an allegation that you did not receive effective counsel at trial. We also use this type of motion to challenge the jurisdiction of the court that heard your case or to assert your rights were substantially denied in the original trial due to prosecutorial misconduct. In the federal court system, this process is known as a Section 2255 motion and must be filed within one year of the date on which your last appeal was exhausted. If your motion is granted, a court will have wide latitude to decide how to handle your case. You may get a reduced sentence, a new trial or even a vacated sentence and your freedom. Our firm works to take advantage of every single opportunity for appeal or post-conviction relief. In our defense practice, we often represent legal permanent residents and nonimmigrant visa holders whose minor scuffle with the law has put them in jeopardy of losing their legal status and being deported. The typical scenario begins with an arrest for a disorderly persons charge, perhaps possession of marijuana, domestic battery or public intoxication. A foreign national is often eager to cooperate to make the charges go away, especially when the prosecutor offers reduced charges and no jail time in exchange for a guilty plea. It’s only later that the foreign national learns that his legal status has been revoked and he must leave the country. If you find yourself in a similar circumstance, we can represent you in actions by the Department of Homeland Security and U.S. Immigration and Customs Enforcement. If you have already been convicted of a crime, it is essential that you exercise your rights to appeal your conviction immediately. The Law Office of David Jay Glassman appeals or challenges cases and verdicts based on ineffective assistance of counsel, new evidence or constitutional challenges. Our legal team handles cases throughout New Jersey. For a free consultation in Marlton, New Brunswick, Hackensack and Newark, call 866-221-1270 or contact us online.